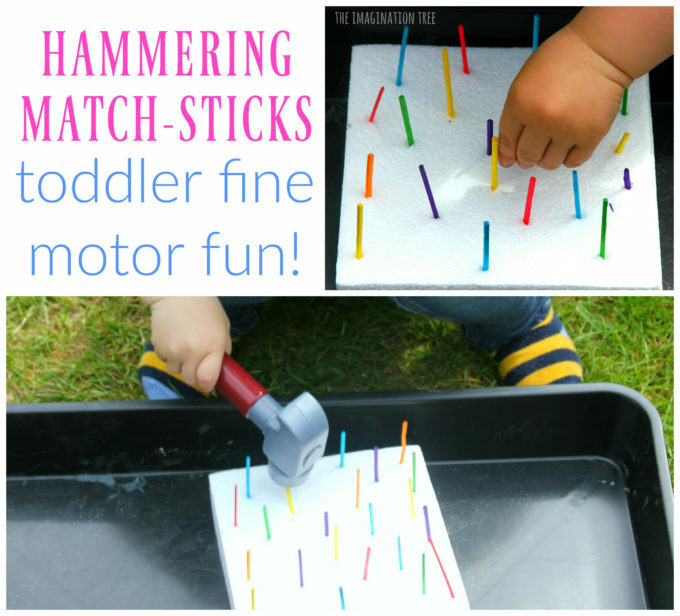 Have fun with this toddler fine motor skills activity using match-sticks, a toy hammer and a foam block! 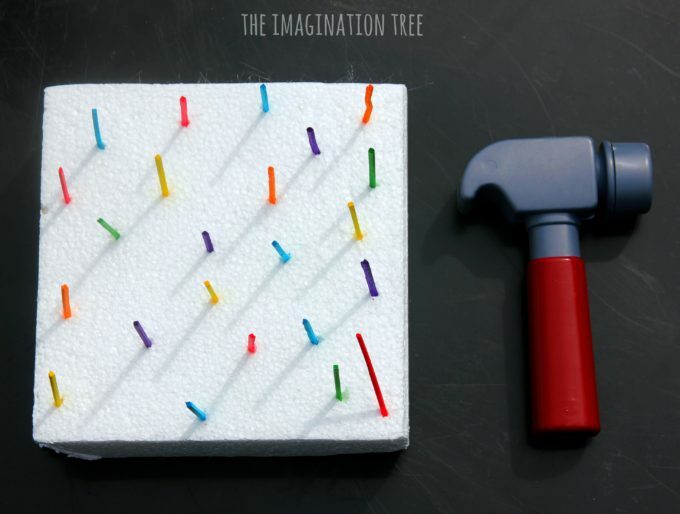 Great for inquisitive little hands who love to investigate tools and find out how things work and a great fine motor skills exercise too. My two year old really enjoys Bob the Builder and has a tool-kit of his own which he loves to carry around as his “bag” filled with his many precious items. He recently discovered the toy hammer and has, of course, been going around the home knocking it heavily into everything he can find, including the TV and even his sisters on occasion! Eek! 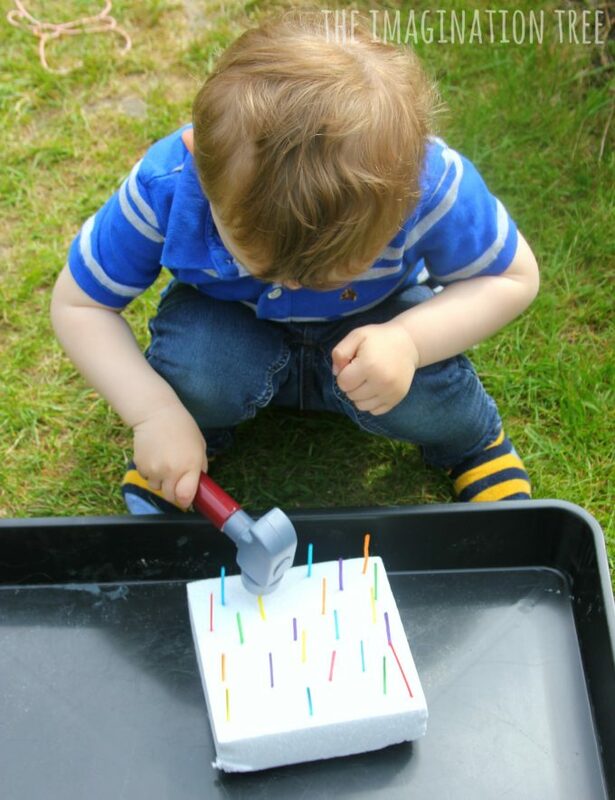 I thought I’d set him up an intentional invitation to play activity using the hammer to redirect his focus on how to use it for its actual purpose, in a playful way! We had a solid chunk of foam packaging from a recent delivery and used this as a nice base for hammering into. 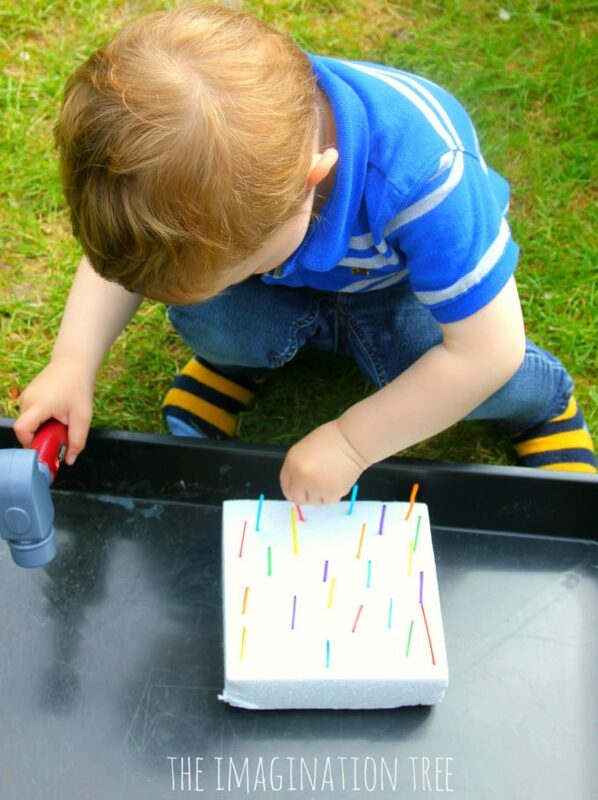 Using a jar of coloured wooden matchsticks to make the “nails”, I set them all out for him to find in one of our large gardening play trays. 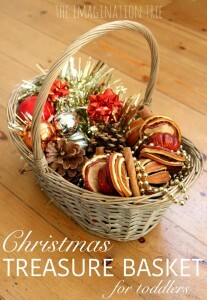 He loved the idea and quickly whacked them into the block, pulling them out easily to try again. He found he had to stabilise the block to get an accurate hit and it was really good for his hand-eye coordination too. 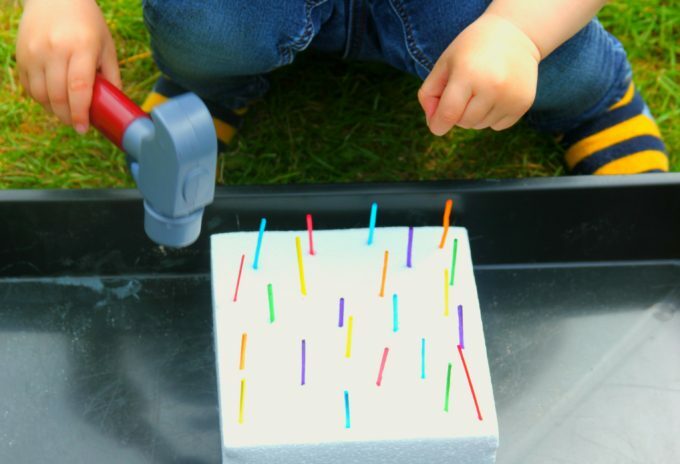 He also discovered he could push the match-sticks into the block using his fingers and became absorbed with this self-initiated activity for some time. 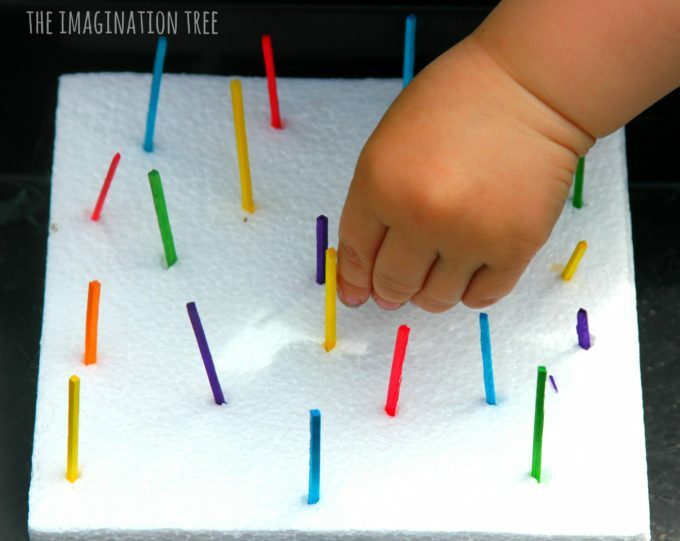 He then pulled them all back up and flipped the whole block and push his full weight onto the back of it, managing to push all the match-sticks into it in one go! He was really pleased with this discovery and repeated it over again. For older children you could add letters of the alphabet or numbers which can be hammered after being shouted aloud or in a certain order (for example if counting the numbers.) 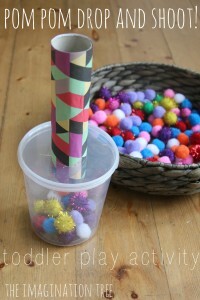 There are so many ways to extend the play to include some learning too. We might also just simply add a builder’s hat, more tools and some of our favourite construction themed story books too! 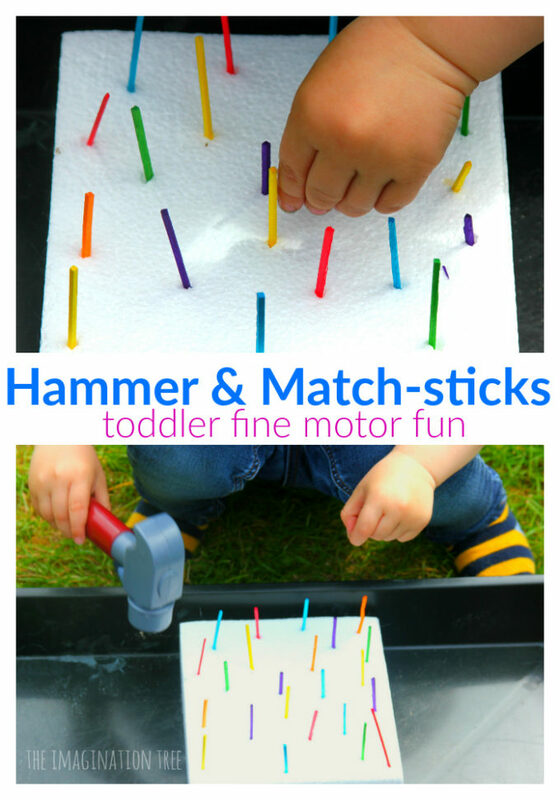 I have a whole collection of FINE MOTOR SKILLS ACTIVITIES for BABIES and TODDLERS here to inspire more ideas! 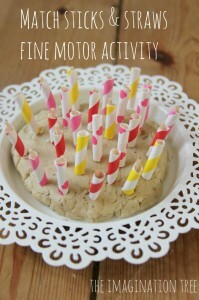 And here are 40 FINE MOTOR SKILLS ACTIVITIES for preschoolers and upwards. 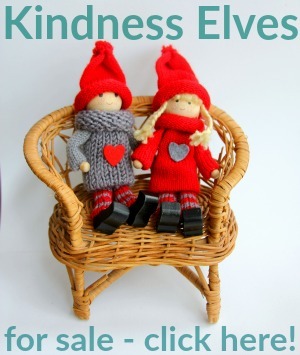 And search the TODDLER PLAY archives for inspiration for everyday playfulness together! 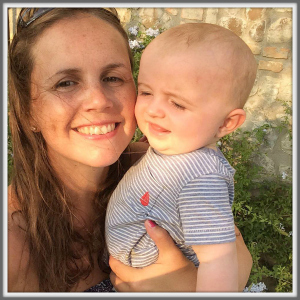 Here are my TOP TOY RECOMMENDATIONS FOR TODDLERS too! 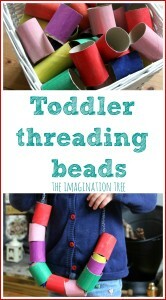 If you loved this fun toddler fine motor skills activity please consider pinning or sharing with others. Thanks! where did you get that big metal tray?